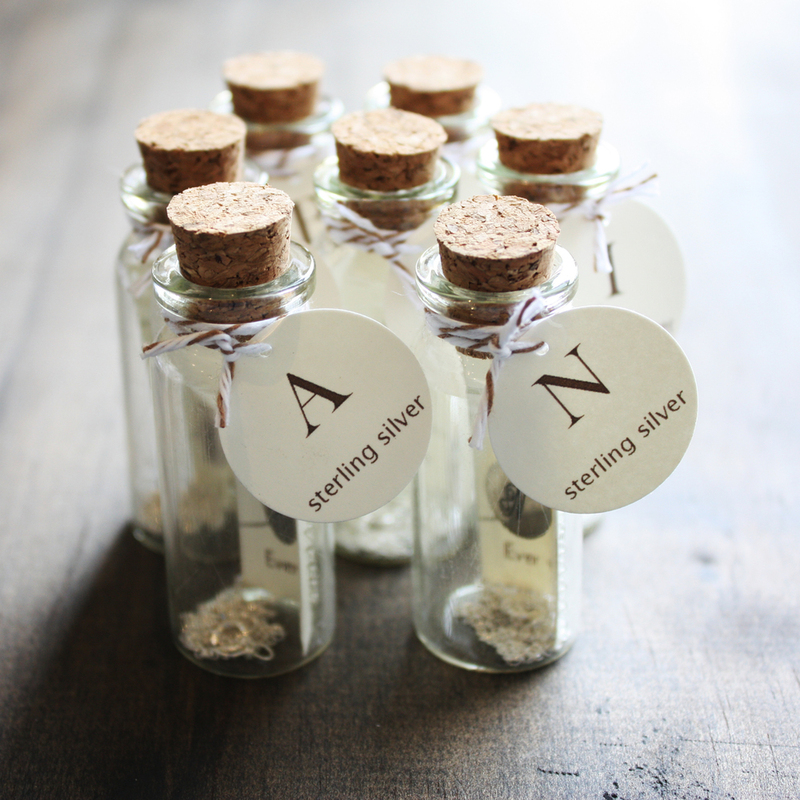 All Ever + Ever jewelry is made from the finest materials: sterling silver, 14k gold-fill, gemstones and pearls. Every piece of Ever + Ever jewelry is designed and lovingly handcrafted by designer Rebecca Fogle in her Springfield, NJ studio. I founded my jewelry line as l'atelier des bijoux in 2007, and rebranded as Ever + Ever in 2012. I chose the name Ever + Ever because all of my pieces are designed to last a lifetime. I am inspired by simple, classic design, which is reflected in the delicate and dainty nature of much of my work. My creative process is different from a lot of artists, I think. I never sketch a piece before I make it. My materials and tools are my guide; my design sense marries the two together. I am completely self-taught from online tutorials and simple experimentation. I went to school for political science and worked as a legal secretary after college. I began selling on Etsy in 2007, about a year and a half after I started working, as something of an experiment; I wasn't sure whether anyone else would want what I was making. Eleven years later, I am running my business full-time and wouldn't want to be doing anything else!